The jolly old man in red would be nowhere without his ensemble of galloping steeds, be it Dasher, Dancer, Prancer or Vixen. Even if you’re more prone to Comet Cupid, Donner or Blitzen, these headwear options are the right way to climb into the hooves of your favorite sleigh - pulling holiday helpers! Bring a set home for the whole family and have fun getting into the spirit of the season. You can even dress up your household pup as a stand - in Rudolph. Whether you’re dressing up with family or flatmates, this selection of Christmas Santa antlers will have you ready for any holiday festivity. Headband antlers are a fun and playful way to ring in the holiday season. Their reinforced construction means all you have to do is slide them on and they’ll sit proudly atop your head. The tension of the headband holds the lightweight antlers in place, while wire reinforced antler posts keep the shape of the antlers themselves. From realistic complex shapes to cartoonish reindeer ears and faux fur, The Christmas Warehouse has everything you need to make a fun and humorous statement at your office, home, or holiday party. At home, share your antlers with family or buy everyone their own pair of reindeer antlers to make your very own team to pull Santa’s sleigh. For extra detail, add red noses so that everyone can become their very own version of the heroic reindeer, Rudolph. Add antlers to your carolling routine by donning these playful ears to the tune of “Rudolph the Red - Nosed Reindeer,” and prepare to delight audiences and neighbours. For holiday plays and performances, The Christmas Warehouse offers an affordable option to provide holiday - themed accessories for your whole class. Help students and families get into the Christmas spirit by dressing your performers in charming reindeer antlers while the sing, dance, or act for a delighted group of beloved audience members. To enhance your workplace morale, hand out holiday antlers at the next meeting or prance around the office completing your daily tasks. 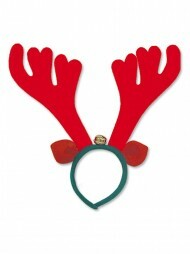 Help spread the Christmas spirit at holiday parties with a fun conversation starter and charming antler headband. Invent holiday games centred on headwear, in which Santa hat wearers must pair up with reindeers to complete a team - bonding task. There are a number of ways to spruce up the typical holiday routine at work, at home, or in public. 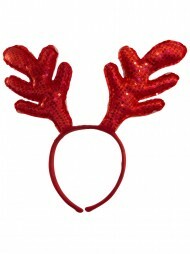 As a perfect way to enhance team spirit for group fundraising efforts, holiday antlers create priceless memories at a low cost. If you’re enjoying a holiday - themed marathon, pub - crawl, or scavenger hunt, jazz up your team’s image by adding playful reindeer details. This will help unify your team’s appearance and also charm your competitors. For bonus points, add hooves and fur wearables to complete the reindeer aura. If your team is raising money for charity, one of the best ways to get your audience to open their wallets is to deliver a high dose of holiday cheer. 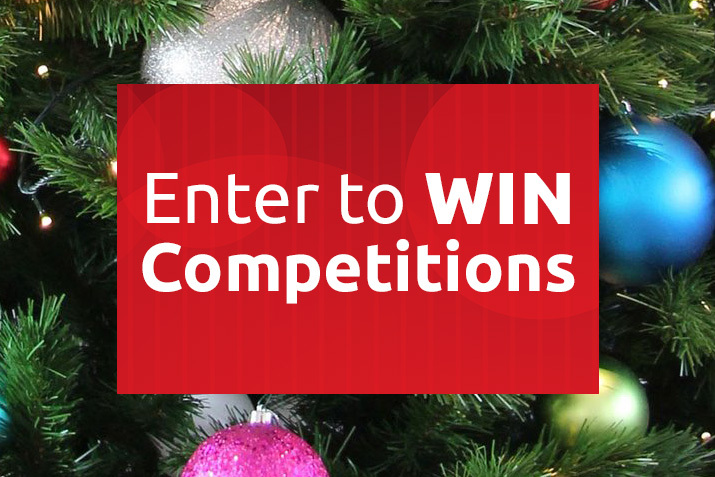 Perform your reindeer routine and make others laugh to ignite the Christmas spirit of giving. Why keep these charming antlers to yourself? Slip them snugly onto the family dog for a good laugh, and walk as your makeshift reindeer walks throughout the house. Surprise your children with an early morning reindeer wake up on Christmas day by sending your antler - clad canine into their room to help them rise and shine. The lightweight construction of headband - style antlers makes them easy to wear and comfortable during long periods of holiday festivities. Their materials are built to last through any Christmas duties, dinners, or holiday parties. Save your antlers year after year to start a new tradition or elaborate upon a long - held family practice.